Designed by Erika Lagerbielke in collaboration with Bengt-Göran Kronstam, well-known wine connoisseur and critic. 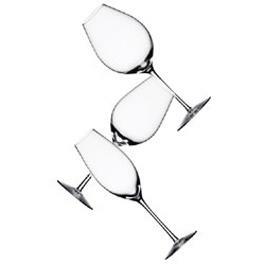 Difference, a unique suite of wine glasses explicitly designed to enhance flavour and bouquet, brings a new dimension to the enjoyment of fine wine. Exquisitely rounded curves and clean lines combine for a decidedly modern feel.